Luang Prabang is a great place to bring your family. With very little motor traffic here in comparison to the capital city of Vientiane, this UNESCO World Heritage town is extremely accessible and easily walkable. It also isn’t as big of a party town as some of the other places in Laos. Spend some time exploring its small, quaint streets which are lined with footpaths or consider taking a bike tour [link] for a fun introduction to the city and its history. We have bikes that fit every size. In terms of accommodation, many of the reasonably-priced hotels here have swimming pools and other features that are sure to please the kids. And around town, there are plenty of arts and cultural attractions, markets to explore, and a few museums to visit and performances to attend. Great outdoor activities are a stone’s throw away from the centre, with waterfalls, rivers, and beautiful mountain vistas to see. We would go so far as to call it a family paradise, but hey, perhaps we’re biased. Although, we have found that it’s a great place to raise our families and are proud to call this beautiful town our home. With or without the family, this is one of the best trio of attractions in Luang Prabang. The cool, clearwater pools of Kuangsi Falls are enough to keep children -- and their parents -- happy for hours. Included in your ticket to the waterfall, is admission to a sanctuary for Asian sun bears, a local species endangered from poaching. Take some time to visit the Free the Bears and learn about efforts to save them. A stone’s throw away from the falls and the bear sanctuary is a butterfly park, sitting in the quiet of the jungle where you can view hundreds of species of butterflies. And in between all these sites, you’ll find local artisans selling their crafts along with food stalls serving up local treats. Have a look at our tours if you’d like to visit to a working rice farm along the way! This recently-opened garden is the only place in the entire country dedicated to collecting and preserving information about the rich diversity of flora in Laos. Pha Tad Ke features educational programs and tours for visitors of all ages. Bonus: a trip there means a boat ride across the Mekong! It can get hot in Laos, particularly in the months of March to May. La Pistoche offers fun, family-friendly swimming pools (kiddie pools and toys included), plenty of space to sit in the shade, and food and drinks available to order. It's a terrific spot for kids to socialise with some of their Lao peers too. Many other hotels in Luang Prabang also offer pool passes for outside visitors, typically for a day or so. The Luang Prabang View Hotel for example has a particularly swanky pool (and kiddie pool) up on a hilltop with a stunning 360-degree view of the mountains surrounding. Day passes are available with pool-side seating and towels included and a restaurant and bar made to order. This non-profit publishing enterprise is dedicated to producing books -- in Lao language and English -- so that children in rural areas can have access to reading materials. A visit to Big Brother Mouse is worth it just to browse the books themselves, with a collection that suits all ages (a favourite of ours is "What's in the Market," for an introduction to Lao foods). But if you drop in during English language practice time -- usually an hour in the morning and an hour in the late afternoon -- you'll have the opportunity to talk to Lao people (including novice monks) who want to practice their English. It's a great way to learn about their efforts to improve literacy in Laos and make some new friends. Like golfing? Want to give your children a chance to try it without chasing balls into the woods? Consider taking the family for a round of simulated golf in air-conditioned comfort. It's a great way to spend the hottest hours of the afternoon. For a fun day or half-day adventure, check out Ock Pop Tok’s Living Craft Centre just a short 5-minute ride from the town centre (10 on bicycle or 30 on foot). Take a free short tour of their weaving centre and learn about the processes of silk-making, dyeing, weaving, and batik techniques from the various ethnic groups. The kids will get the chance to see real live silk worms eating mulberry leaves and all the colourful materials used to make natural dyes. You can also choose from an assortment of half-day classes to multiple-day workshops in weaving or batik making. The centre features a fun family class for kids 11 and under, on tie-dying as well. Take note that classes must be booked ahead of time either in their boutique in town or online. For some more Ock Pop Tok options, consider staying overnight at their beautiful villa or take some time to grab a bite and lounge at their garden café overlooking the Mekong (open for breakfast, brunch and lunch) before or after your tour. All of this is located on the same property at their Living Craft Centre. If you have older kids who enjoy helping in the kitchen and would like to learn about Lao cuisine, perhaps a cooking class might be in order. Day classes typically start with a trip to the market to shop for ingredients before heading back to the kitchen to learn how to prepare a few quintessential Lao dishes, dips, and of course, sticky rice. Dietary restrictions (such as vegetarian) and allergies can typically be accommodated for, and you’ll get paper copies of the recipes to take home. Take note that some schools are more hands-on while others are more of a demonstration with a tasting at the end. Be sure to sign up a day or two in advance as class size can be limited. A visit to this farm just outside of town is a great way to engage the whole family in an environmentally-educational outing. The Organic Farm first began its Goat Project more than ten years ago and it now stands among the oldest projects of its kind in Laos with a successful goat cheese business. They also offer farm tours, cooking classes, on-site accommodation in mud houses and riverside bungalows, and a restaurant that serves exclusively organic food. The Blue Lagoon is one of Vang Vieng’s most popular attractions. Picnic by its crystal-clear blue waters and take some time to explore the cool caves on site with your older children. All ages will have a blast jumping off its many rope swings and tree branches into this scenic swimming hole. It’s a great way to beat the afternoon heat. In addition to the cave at Blue Lagoon, there are plenty of other areas where you can hike through rice paddies, rock climb up scraggly cliffs, zip line over treetops, and explore caves around Vang Vieng. Properly supervised, it can be a fun way to get your kids ages 6+ a little out of their comfort zone. You can easily rent headlamps in town for cave exploring and other equipment for some bravery-boosting adventures. Vang Vieng has some scenic river areas that are perfect for kayaking. Book a trip with one of the tour companies in town and make sure you ask for kid-sized paddles, life jackets and a private guide. It may cost a bit extra, but it’ll be worth your while to get some quiet time paddling along the river with your children. Recommended for families with kids ages 6+. If it suits you, you can also ask to schedule in a BBQ along the river and turn it into a special day-long private excursion. Located in Nathong Village close to Vang Vieng, SAE Lao is a sustainable development project that looks to provide holistic change through education, job training, and economic-generating opportunities all to benefit the local community. This cool initiative consists of a small organic farm, a farm-to-table restaurant, a community centre that provides daily English classes, and a volunteer project for international visitors. Pay them a visit for a delicious organic bite to eat or volunteer with them. It’s a great way to get your kids to engage with the community and a fun project overall. Vientiane is a family-friendly capital city with a lot of activities for kids, including the younger ones. But first, make sure you find a good hotel possibly with a pool. It can get quite hot in town and there aren’t too many natural spaces to cool off. The daily night market, set along the Mekong River, is a great place to check out just as the sun goes down. Keep some small cash on you to buy souvenirs and little goods here and there. Make sure to try out some local ice cream or pancakes and check out the local art. There is older playground here that gets quite crowded in the evening. Depending on how much time you’ve got to spend in your itinerary and what you have seen before, taking the overnight train from Bangkok can be fun for the kids. The restaurant food in the train is actually quite good and the staff is friendly. But the most exciting part for the littles ones might be when the train staff walks in and converts all the seats into beds. If you’ve been traveling for a while with kids and are getting frustrated with limited options, you may find Vientiane’s great variety of international foods at their many cafes and restaurants, to be a breath of fresh air. Connect to the famous Buddha Park 20 minutes outside of Vientiane, this water park offers shaded grounds with sliders, waterfalls, and swimming pools of various depths, including kiddie pools. The food is decently priced and a trip to the park is worth a full afternoon or even a day. Making sure you check the opening hours, climbing Phatuxai (Arch de Triumphe) can make a great experience watching down the city traffic at the park, which offers nice photo opportunities. If your kids are old enough to understand the devastating effects of war, this tiny museum can make for an important visit to understand the history of Laos. 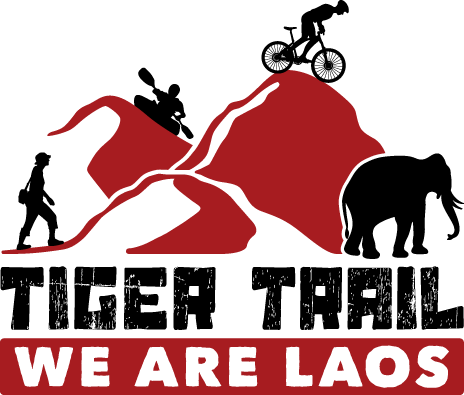 Dedicated to the Secret War fought in Laos during the Vietnam War, the COPE center, brings to light the issue of unexploded bombs, or UXO – unexploded ordinances) plaguing the countryside of Laos. It only takes about 20 minutes to walk through and there are some great short documentaries to watch in their theatre to close out your trip there. Run by Peuan Mit, an organisation founded by Friends-International this award-winning restaurant offers up a great menu for a great cause. Featuring creative Lao cuisine, as well as great shakes and cocktails, all in a beautiful surrounding, Makphet Restaurant looks to address the needs of street children and young people in Laos by teaching them kitchen skills and providing them with opportunities. The restaurant also has a small gift shop attached to it, selling products made by families which help to fund their childrens’ education. Take your family to enjoy the food and check out the gift shop which your kids will be sure to love. And that’s all we’ve got! We’ll continue to update this great list but be sure to stop into our office or contact us here at Tiger Trail if you’ve got any more travel questions or would like to book a personalised tour.